Josephine attended the London Art College (LAC); she studied painting and drawing on the general diploma course, where she was tutored by Alan Dedman. At the time she resided in Lagos, Nigeria. Her husband Norman, downloaded mp3 feedback sent to Josephine and became acquainted with the LAC through doing so. To begin with Josephine’s efforts were typical of any student. Over time she gained confidence and has developed well. She has been very active in her home country, working with African artists; painting with a group of people who meet on a weekly basis. When she and Norman visited the UK, Josephine had some one to one tuition from Alan Dedman in Somerset. 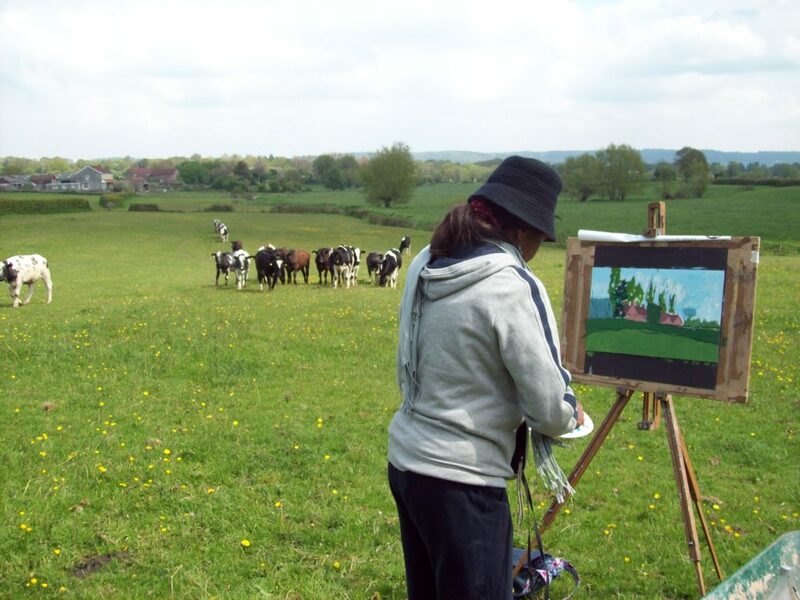 In her landscape study she coped well with the physical conditions, including a herd of bullocks. Alan Dedman demonstrated skill in cow herding, using the correct vocal inflection to control cattle. Josephine worked with acrylics, which although quick drying, allowed her to make rapid progress in painting. The lush, green environment and cool breezes were a change from the heat of Lagos. Back at Studio Dedman, she spent a morning making spinny paintings and thermal drawings and did objective drawing exercises. Josephine also made a painting from life, in oils. Getting a student to do such a large amount of learning in a condensed time frame was ambitious but successful. 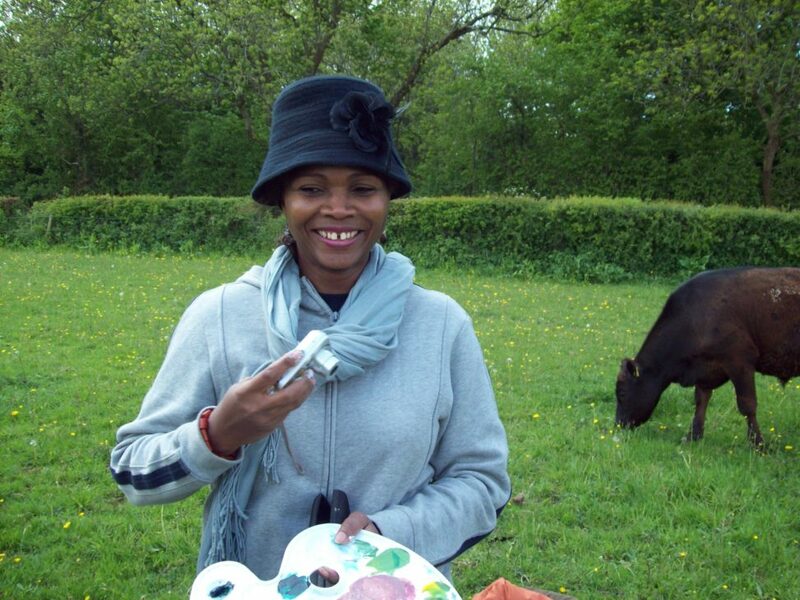 Josephine always wanted to do art and came to it late, after having children and working in business. Alan Dedman has been engaged with post-compulsory Art education since 1990. He gained a PGCE from Bath Spa University. He has worked in schools, prisons and colleges and has given lectures at the Royal Academy of Arts and National Gallery in London. Correspondence courses with the LAC help adult learners in English speaking countries across the World to realise their ambitions in art and design. Norman commented that Alan Dedman supports students with constructive criticism – but doesn’t make them feel bad – allowing their self-esteem to remain intact. This gentle encouragement allows learners to flourish and grow.